In a pan, put a quarter of a cup of unrefined olive oil, and then add four chopped garlic cloves to it. 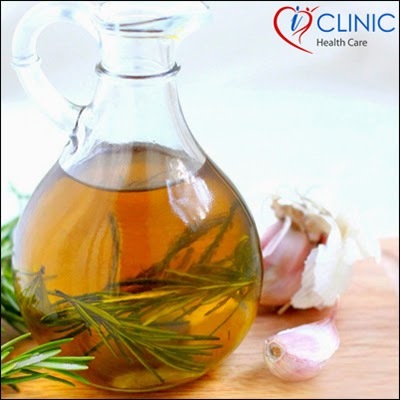 Until the garlic become brownish; fry it, and then, remove the garlic and leave oil to cool down. Using a dropper; put some drops into your ears. Repeat this procedure several times a day to cure the infection in the ear.